TORONTO, Dec. 14, 2018 /CNW/ – The Green Organic Dutchman Holdings Ltd. (the “Company” or “TGOD”) (TSX: TGOD) is pleased to announce the launch of its brand new experiential patient and consumer website focused on delivering the absolute best online experience in the industry. The result of over 3,000 patient interviews, multiple surveys and questionnaires, and months of planning, this new and improved website provides a number of incredible features including an all new sales experience and Search Engine Optimization (“SEO”) focused on organic content, sustainability and community activities. The TGOD online experience has been upgraded to include patient portals, consumer education centres and an entirely redesigned investor section. Additionally, updated media portals offer a number of short films focused on the organic difference, sustainability, and behind the scenes interviews with TGOD employees. TGOD is pleased to present this new comprehensive website for the first time. Please visit www.tgod.ca to experience the future of TGOD. “TGOD is committed to providing the ultimate cannabis experience for consumers. A website is the first point of contact for most consumers. Those consumers have many choices with respect to their cannabis brands, and it is critical that TGOD provide them with the ultimate experience. A selection of 200 medical patients will have first access to purchase TGOD’s organic cannabis in late January 2019. Individuals looking to sign-up for future cannabis sales in Spring 2019 may register here. Investors looking to experience the new and improved Investor Centre and sign-up for the Company’s latest corporate updates and press releases can do so here. 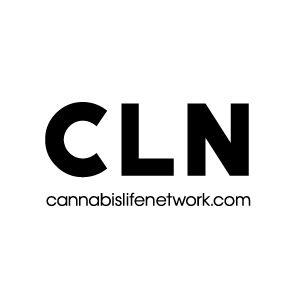 Previous ArticleWho's the biggest cannabis social media influencer?